Good for Admission during the 2016 Season. Visit Ragingwaters.com for park operating hours. 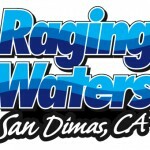 Raging Waters Standard Season Pass San Dimas Ca. With a season pass, you can enjoy raging fun all summer long. Visit Ragingwaters.com for park operating hours. 3 Hour Unlimited Pass includes use of all rides and Miniature golf.